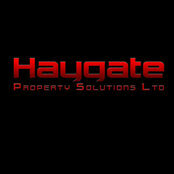 At Haygate Property Solutions, we have a combined experience of over 40 years providing building services to domestic and commercial customers across Telford, Shrewsbury and Shropshire as a whole. We ensure that our workmanship is of the highest standards. Whether you are after a new build house, to refurbish your existing one, install a new bathroom or kitchen suites or a new extension or loft conversion in Telford, Shrewsbury and Shropshire as a whole then we are the people to contact. From design through to completion we will oversee your entire project to the highest standard.